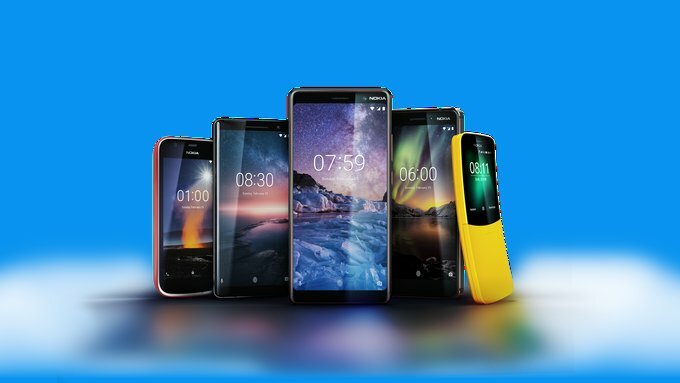 HMD Global at MWC 2018 launched five new Nokia Phones. 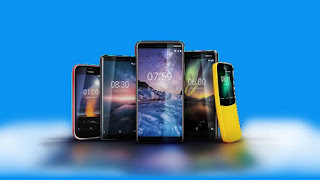 Nokia 8 Sirocco, the Nokia 7 Plus, the Nokia 6 (2018), and Nokia 1 Android smartphones, as well as the Nokia 8110 4G. Here's when all these Phones will come to India. According to Ajey Mehta, Vice President India, HMD Global Nokia 1 will be first to launch in April. Next up will be Nokia 6 (2018) - the 3GB RAM/ 32GB storage other variant launching around end-May/ June.The Nokia 8 Sirocco will come to the Indian shores sometime in May as well, while the Nokia 7 Plus will launch in end-May/ June.Nokia 8110, which will launch sometime in Q3 July 2018 or later. Nokia 1 feature a 4.5-inch FWVGA (480x854 pixels) IPS display powered by a 1.1GHz quad-core MediaTek MT6737M SoC coupled with 1GB of LPDDR3 RAM and 8GB of internal storage. On Camera, it has a 5-megapixel rear camera and 2-megapixel front camera.Packed with a 2150mAh battery. Nokia 6 comes with the Aluminum 6000 unibody. It has a 5.5 inch IPS LCD Full HD display powered by Qualcomm Snapdragon 630, octa-core, 2.2GHz coupled with 4GB LPRDDR4 RAM and 32/64GB of internal storage. On Camera, it has 16MP with a f/2.0 aperture, phase-detection autofocus and dual LED flash. The front camera is 8MP.Packed with a 3000mAh battery. Nokia 7 Plus comes with a 6-inch 18:9 display FullHD+ Display Powered by Qualcomm Snapdragon 660 with 4GB RAM and 64GB of internal storage. It comes with a 12-megapixel wide-angle primary camera with a f/1.75 aperture, and 1.4-micron pixels, as well as a 13-megapixel camera with a f/2.6 aperture, 1-micron pixels, and 2x optical zoom. The duo is coupled with a dual-tone LED flash and Zeiss optics. As for the front camera, the Nokia 7 Plus features a 16-megapixel fixed focus offering with a f/2.0 aperture, 1-micron pixels, and Zeiss optics. It bears a 3800mAh Battery.